Want to hold an event in our space? The studio and gallery are available for general event rental, birthday parties, and corporate events. From splatter parties, to themed parties and workshops, let us make your child's party an awesome artistic event! All parties include time for art making and food/drink, as well as one of our expert staff to facilitate. We also offer food, drink and decoration options to make party-throwing a breeze! 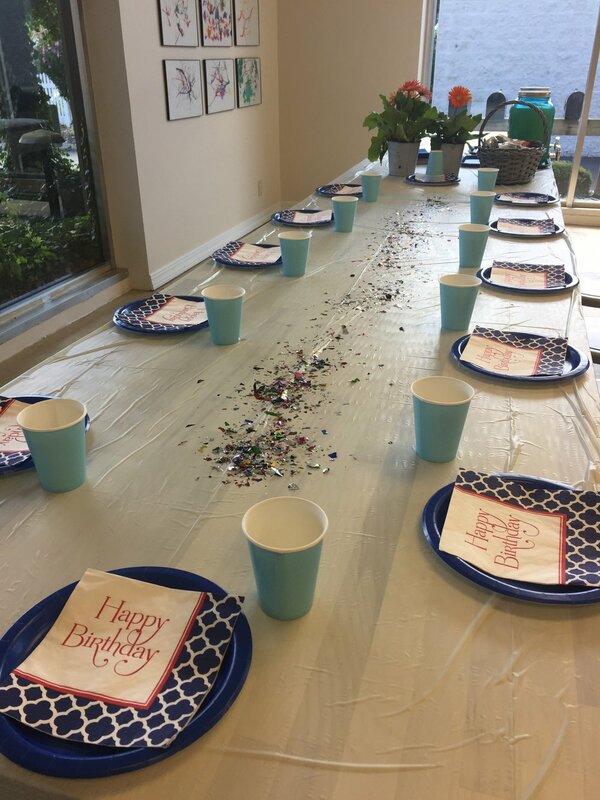 Download the birthday party brochure, with all the details and give us a call to get started: 330-983-9983. Our space is available for a variety of corporate events. From team-building, to planning and meeting space, to providing employee wellness services, Akron ArtWorks haswhat you need. Please call 330-983-9983 or email akronartworks@gmail.com to get started. Our facilities are available for rental for events of any kind. Rental agreements are available that also include artistic and/or therapeutic activities. Please call 330-983-9983 or email akronartworks@gmail.com to learn more.